The Chinese central bank named Du Jinfu as deputy governor last month, according to an undated posting on the People's Bank of China website. Du, 55, was promoted to assistant governor in June 2006, after heading the central bank's statistics and personnel departments, according to the website. 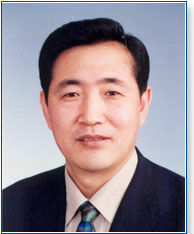 He joined the central bank in 1992 as head of research at the Inner Mongolia branch of the People's Bank of China. Deputy Governor Su Ning was no longer listed on the website as one of the central bank's nine top officials. Su may be appointed chairman of China UnionPay Data Co, Caijing magazine reported May 19 on its website, citing people it didn't identify. Officials at China UnionPay, the nation's largest electronic payment network, were not immediately available to comment on the report, and a press official at the central bank said he didn't know where Su had moved.